I’m borrowing words to share with you today. Words from someone who knows what it’s like to not only survive difficult circumstances but come out thriving on the other side of them. Someone who has been told “you are a mistake” and then learned from God that they are a world-changing miracle. Someone who believes in the power of love to lead us out of the lowest points in our lives and take others with us. That was the question I asked myself many times when I was lonely, sad and empty, without purpose. And it was at that very moment that God used Compassion International to help me understand that, yes, I have a purpose and a reason to exist. This is what 80% percent of the children living in third world countries think–that they are nothing and that they have no future. I wanted to start this letter that way because I wanted you to know that my life has really changed. You are the protagonist in this love story–you are responsible for this change. God has made man in His image and likeness and has given man the tremendous power to create; create Love, Faith, Hope, Dreams, Desire, Families, Communities, Cities, Nations, Opportunities and Compassion. I will never be able to be grateful enough with words for your love for someone you never met before, someone who is not your family, your son or your nephew, or your grandson but someone that you loved without knowing him. This is the answer to all those who claim that God doesn’t exist. You’re the answer. And God is pleased with your work, God is happy because you have given more than what you had just like that widow who gave all she had. “In truth she has given more than all of you,” said Jesus. You are the hands of God! And that’s why I no longer pray as I used to do before. I heard a pastor say: ”Do not ask God to feed the hungry if YOU have enough food in your pantry.” The truth is that many times we ask wrongly, because we ask God to do things when in our ignorance we forget that we are God’s response to the misfortunes of others. Thanks again for writing. I treasure every one of your letters not only in a chest but also in my heart. I take time to read them over and over again because they are like oil of joy in times of distress. I will never forget your prayers for me and for the coming generations–you left personal things to leave a legacy to the world. Thank you for the difference you’re making and the ways you’re sharing God’s love wherever you are! Like Jonathan’s letter said, you are changing the world…one life at a time. 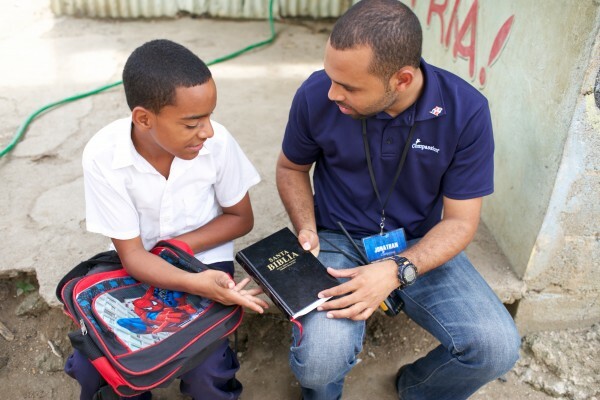 Compassion International kids see sponsors as part of their families. If you’ve ever thought about adoption, consider sponsoring. Read more posts from my fellow travelers on this trip: Bonnie Gray, Bri McKoy, Lisa Leonard, and Ruth Soukup. Holley, I am so glad you shared Jonathan’s letter. He is such a beautiful man of God and I know meeting him there in the D.R. Will leave a lasting impression in your heart, as it has mine. I am beyond grateful for your stories, and the way you love others. Thank you, friend. This is a gift today. Xxoo praying you safely home. We also met Jonathan on our 2014 trip. He is an amazing young man. His goal was to help his country become a better place. I think often of the marvelous young people we met on that trip who served as our interpreters and guides. Makes one hopeful for our world, after all. Meeting Jonathan and hearing his story (and his history lessons) touched me so deep. God has already used him in such special ways, and I can’t even begin to imagine how He’s going to use him in the future. And I just can’t get over that his sponsor’s name was/is Grace. How perfect is that? This is such an example of how investing in the life of one child–with a few dollars and a lot of encouraging words–can change not just that child but the world. What a legacy! Thank you for sharing your heart, for sharing his heart. Love you big. What a beautiful testimony! And celebrating with my coffee and hoping the power stays on long enough to sneak in a whisper that 101 is the new number on that page – yeow!!! Powerful words. We are blessed to be the hands and feet of Jesus here. Praying for you. Oh my word!! 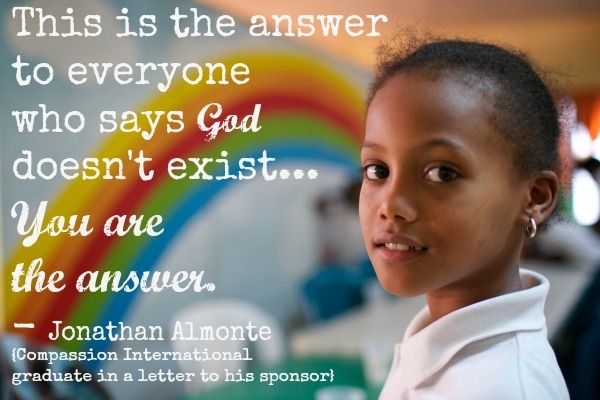 Can you imagine receiving a letter like this one day from your sponsored child? There are times when it feels like we do so little for these children, there must be more we can do. But God created this amazing organization so that we can be a small part in helping to make a difference in the lives of these children. Thank you so much for taking the time this week to share the stories you have experienced this week! Thank you for sharing this beautiful letter! Your journey and these testimonies are such an encouragement and I can’t wait to share them with our children! SO wonderful! So proud of you going there and bringing back all these necessary stories and reminders for us! Love you! And let me just add I went and read Jonathan’s entire letter to his “grandma” and it was amazing to hear the other side of the story from our kids who so often seem so far away or distant with much of their lives lost in translation through the letters they send. It’s staggering to hear all that is going on in the hearts and minds of the littles we send letters to, tucked away until they can express it as adults. Suffice to say, I’ll be writing to both my Compassion kids this weekend! This is so beautiful! Such powerful words! Thank you for sharing that inspiring story! I just loved reading Jonathan’s letter! How awesome to get the opportunity to read a letter from someone who has been through the whole program, thank you so much for sharing his letter! Powerful encouragement to persevere in our efforts to help–wherever, whenever, and however we can. Thank you, Holley! I want to live that way. I wan to love that way. Such a simple phrase, “And then God.” Thanks for sharing a few snippets of stories that demonstrate. And then God…Amen! 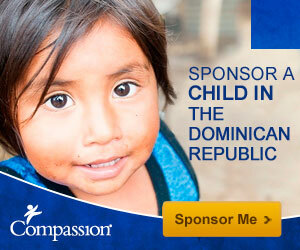 what compassion international you are doing exactly is the true love of Jesus Christ. it is good to cry with those who are crying and listen their needs the way you are doing.Jesus Christ gave himself for our spiritual needs.may God bless all compassion members and meet the needs of compassion children am part of you.Amen. What a heartwarming testimony about the truth of God, and God’s people to change lives! Thank you for posting this encouraging, blog, to hear from this blessed recipient of Compassion International’s amazing work, and to be in turn blessed!! ​​​​​Tired of Fighting Insecurity? ​​Start winning ​more battles today with empowering posts and an exclusive new tool: 15 Minutes to Your Mission Statement.